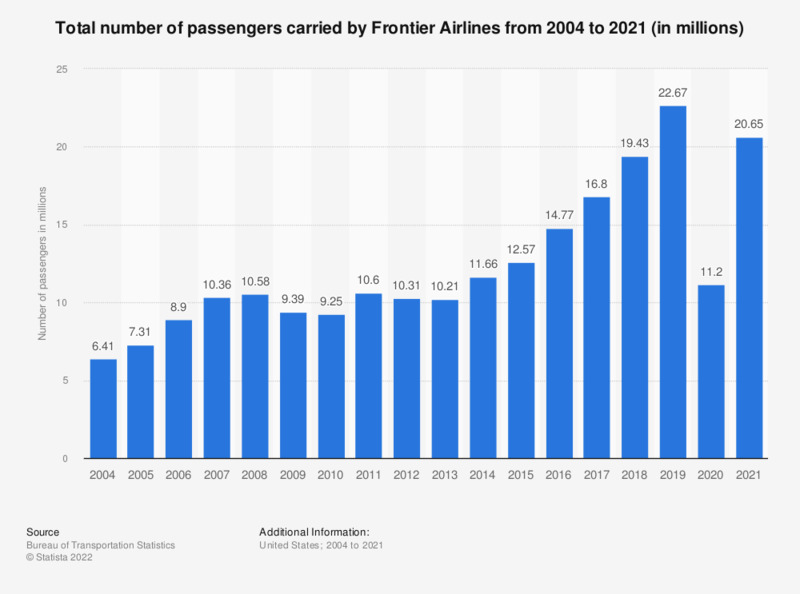 This statistic depicts the total number of passengers carried by Frontier Airlines from 2004 to 2017. In 2017, the American regional airline carried around 16.8 million passengers on its domestic and international flights. To retrieve data, please select "Frontier Airlines" by clicking on "All U.S. Carriers ($20M revenue/yr)" and select "Passengers".